Ever wanted to become a TV star? Well now you can! Project Alpha has opened up its Auditions for the upcoming Project Alpha Season 3 and you definitely would want to try to be in this online TV Series. Now you're wondering, why should I join this audition? Well the question is Why not? 4. You'll be winning fabulous prizes for the best 3 Auditions! 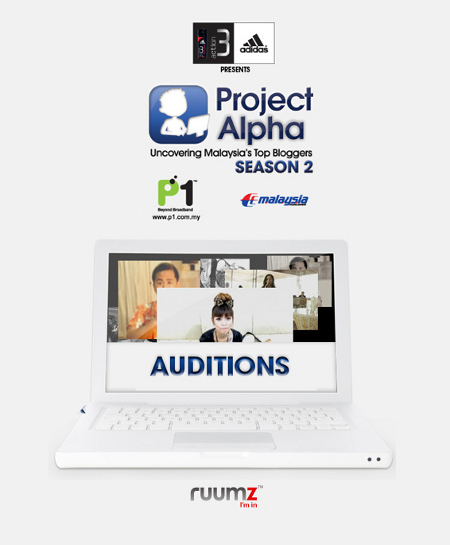 So anyways, If you do want to Audition for Project Alpha Season 3, This are the few things you have to do in order to Audition for it. 1. Create a video (60 Seconds or less), in your creative way of why you should be in Project Alpha Season 3. 6. Get as many of your friends & family to "LIKE" your video! 7. You're good to go! So what are you waiting for? Start creating your videos peeps!